Preheat oven to 400F. Mix together the pork and beef well. Add in the sesame oil, Panko crumbs, ginger, garlic, eggs and green onions. Roll into 1-1½” meatballs. Place on a greased cookie sheet. Bake for 20-25 min. or until browned and cooked through. 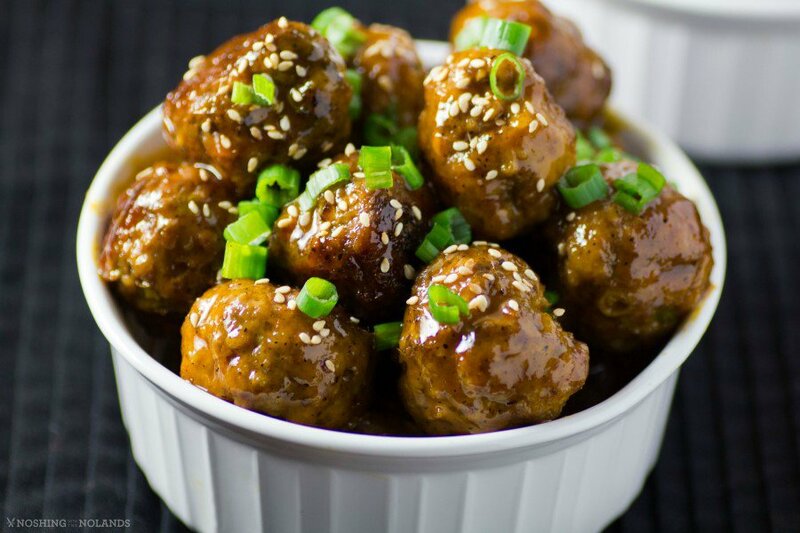 Place meatballs into a large saucepan and pour Pulo Cuisine Lemongrass Atsuete over and gently heat. Serve with the Pineapple Coconut Rice.